MONDAY, June 26, 2017 (HealthDay News) -- If you have heart disease, unrelenting stress might hasten your death, researchers report. Adults who suffered from persistent mental distress, including depression and anxiety, were nearly four times more likely to die from heart disease and almost three times more likely to die from any cause compared to stress-free folks, New Zealand researchers found. "The cumulative burden of psychological stress increases the mortality risk in patients with heart disease," said lead researcher Dr. Ralph Stewart. The association only applied to people with persistent stress -- not mild or occasional distress, the researchers said. And the results held true even after taking account of other potentially influential risk factors, said Stewart, an adjunct professor of medicine at the University of Auckland. Stewart cautioned that this study cannot prove that persistent stress causes premature death, only that the two are associated. "However, there is other strong evidence that stress is causal," he said. "For example, the abrupt increase in heart attacks which occur during war or after a major earthquake." The study didn't evaluate the reasons for an individual's stress. "It is very likely there are many causative factors, including divorce, death of someone close, financial or job stress," Stewart said. Whatever the cause, steps to de-stress might improve your odds for longevity if you have heart disease, he suggested. "Steps which reduce psychological distress over the longer term have the potential to improve outcomes for persons at risk," said Stewart. Unfortunately, there is no simple solution to stress, he noted. "The answer may depend on the individual and the reasons," he said. Acknowledging the problem is an important first step. And support from family and friends is key, too, he added. Counseling is often another option. "Sometimes seeking professional help is best," Stewart noted. The report was published online June 26 in the journal Heart. One cardiologist said doctors should routinely ask heart patients about the stress in their lives. 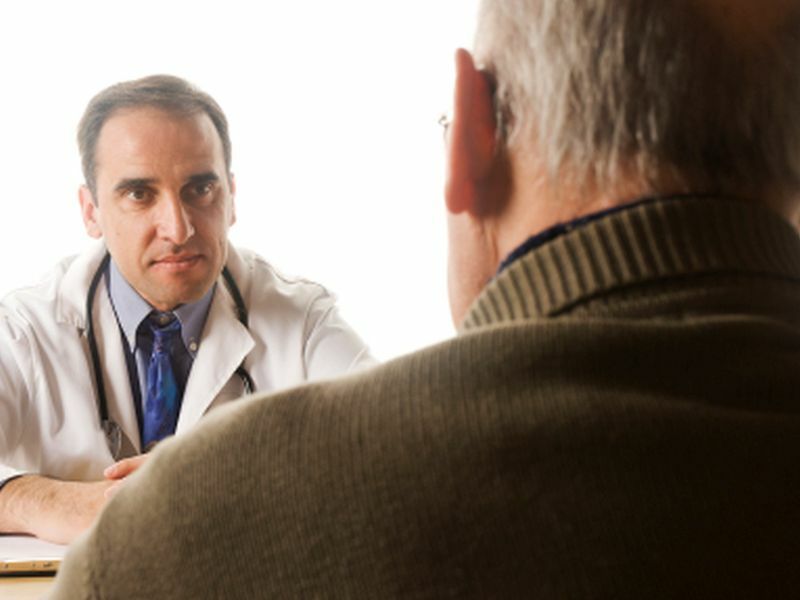 "Clinicians should make the screening of psychological distress a constituent part of the routine assessment of patients with cardiovascular disease," said Dr. Gjin Ndrepepa, from the department of adult cardiology at the Technical University of Munich. Any patients experiencing significant stress should then receive referrals to mental health professionals. This is especially true for a heart patient who has prolonged, moderate-to-high level psychological distress, Ndrepepa said. Psychological distress may cause or worsen heart disease by leading to increased activity of stress hormones and unhealthy behavior, said Ndrepepa, who wrote an accompanying journal editorial. For example, someone with unrelenting stress might smoke, drink, become physically inactive, overweight or develop diabetes, he said. "In addition, cardiovascular disease itself may cause psychological distress," Ndrepepa added. For the study, Stewart and his colleagues looked at data on 950 people with stable heart disease who took part in a long-term trial on cholesterol-lowering statin use. The participants were between 31 and 74 years old. All had had a heart attack or hospitalization for unstable chest pain in the previous three to 36 months. The patients completed a general health questionnaire to gauge their levels of mental distress six months after hospital admission and again one, two and four years afterwards. Stress severity and duration were assessed in four categories: no distress; occasional distress; persistent mild distress on three or more occasions; and persistent moderate distress on three or more occasions. Follow-up averaged 12 years. During that time, nearly 400 people died from all causes, and about 200 died from cardiovascular disease. Questionnaire responses showed that nearly 4 percent said they suffered from persistent moderate or more severe distress. Their risk for early death was substantially higher compared to the others. Nearly two-thirds of participants reported no distress at any of the assessments, while more than one-quarter said they had occasional distress of any severity. About 8 percent reported persistent mild distress, which was not linked to greater risk of early death, according to the report.